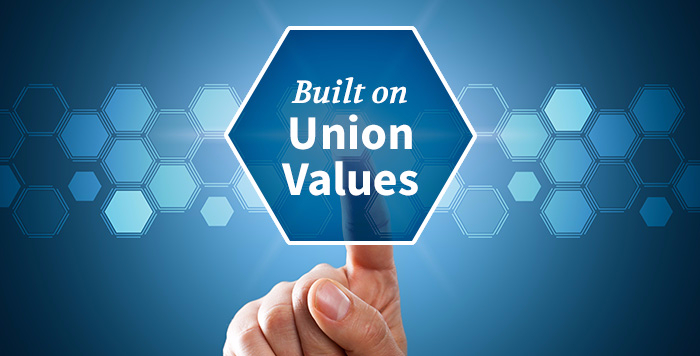 True to its name, Union Benefits is built on union values: Strength in numbers and improving the lives of members. Union Benefits is committed to providing members with the highest levels of personal service with a focus on managing benefit costs. Using the collective purchasing power of the plans administered under the Union Benefits umbrella, we form alliances with the best service providers in the industry and negotiate powerful volume buying pricing arrangements, saving our clients millions of dollars every year! Most importantly, individual trustee boards retain the flexibility to design plans that meet the needs of their members. Our unique structure combines volume purchasing power with innovative service opportunities for the benefit of our trust fund clients and their Members. Because Union Benefits is owned by the trust funds we serve, our interests are aligned with your interests. Unlike other “for profit” third-party administration firms, Union Benefits’ “at-cost” business model means we are driven by service – not making a buck. At Union Benefits, it’s about leveraging the strength of the collective membership for the betterment of all – the fundamental underpinning of union values.